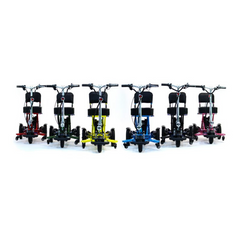 The MiniRider Folding is a compact mobility scooter that’s perfect for indoor and outdoor use. It can easily maneuver narrow corridors, making it more than ideal for those living in apartments and bungalows, and it can also be easily folded up and put into a car or on a plane!! !